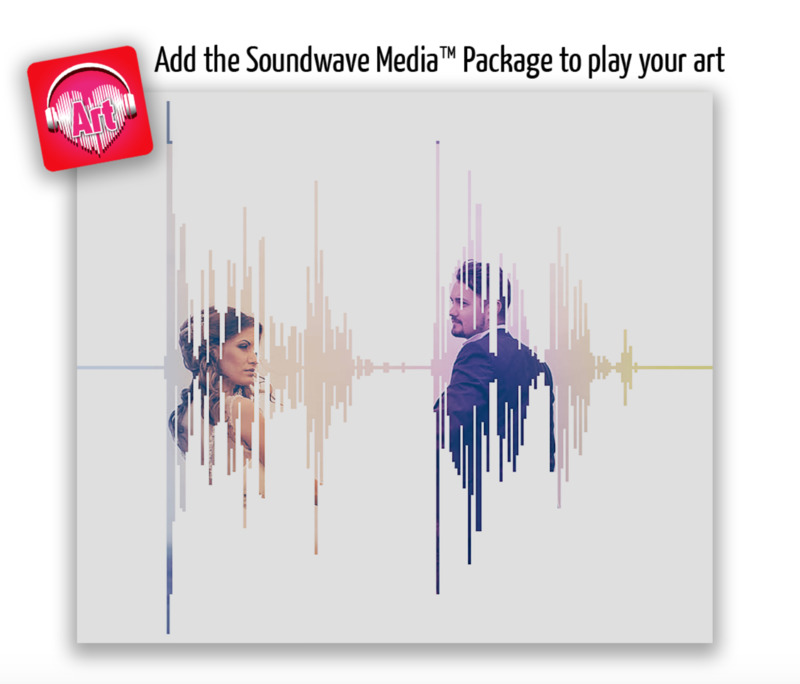 Soundwave Art Photo | Create Your Own Soundwave Art™ | Soundwave Art™ - Turn your voice or sound into art! 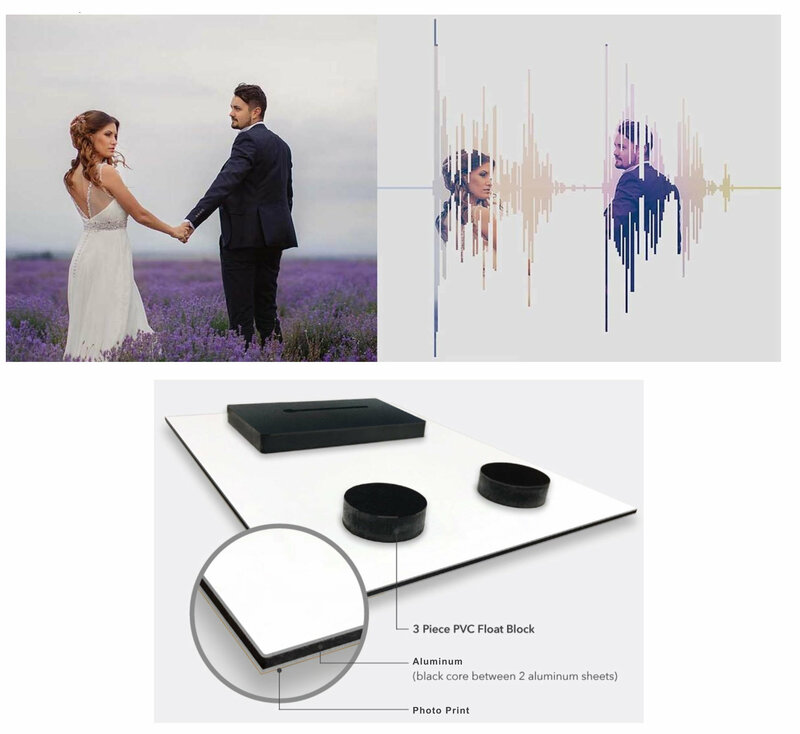 Turn your favorite photo into a Soundwave! Record a special message, then select a background color. Upload the photo you want to be turned into a Soundwave, we'll take the pattern from the message you recorded and overlay that onto your image. The orientation of your photo will determine the orientation of the final product. You'll receive a proof for approval. ALUMINUM: Made by sandwiching a black, solid plastic core between two aluminum sheets, aluminum is a highly durable, warp-resistant mounting. Superb for large print sizes, MaxMetal is 1/8" thick with a white coating on back. Comes with a 3-piece PVC Float Block attached to the back for easy hanging. CANVAS: 1 1/2" thick. 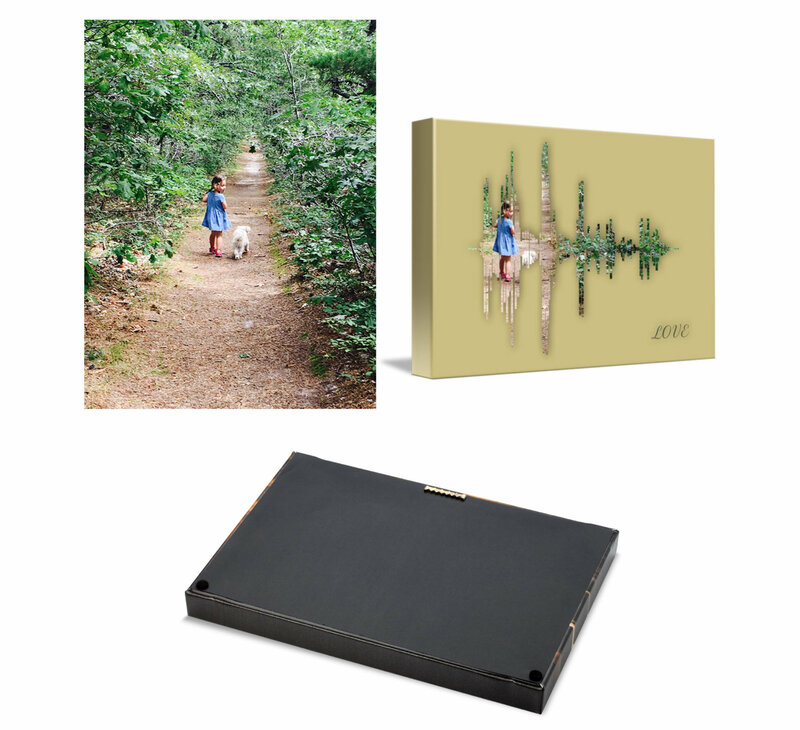 Expect quality and longevity with our archival inks and heavyweight canvas. A satin coating provides UV protection. Your Gallery Wrap arrives ready to hang. Available in: USA, Canada & Europe. Comes ready to hang. If you add our Soundwave Media™ technology you will be able to scan your canvas using our mobile app and listen to your message or even watch a video if you choose to upload one. We use augmented reality to overlay your video on top of your artwork, merging the digital and physical world. See how it works below.